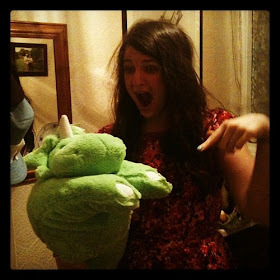 t*rexes and tiaras: Narwhals narwhals swimming in the ocean..
Every now and then I'll peruse the New In section on the Lindy Bop website and will notice something amazing. 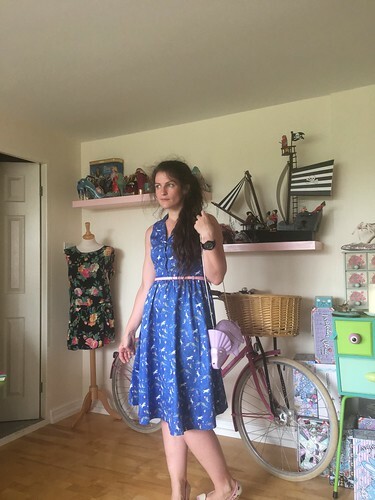 This narwhal print Matilda dress (which also has tiny unicorns in diving masks as part of the print) was definitely one of those and I wasted no time at all in popping it into my basket and hitting checkout. It arrived and I wasn't disappointed (apart from with the fact that the belt would probably fit around me twice - I wonder if perhaps I got the wrong one in my parcel). 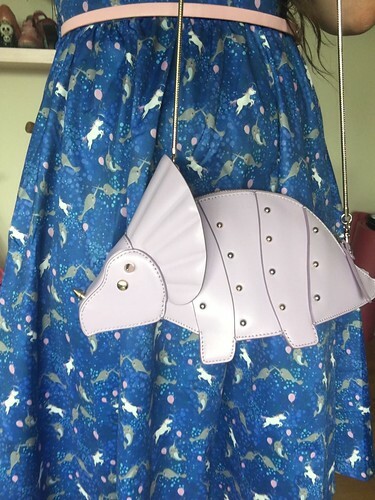 I love the print and the cut and the pretty pastel tones which lend themselves to being paired with my triceratops bag. These Lola Ramona shoes have been some steady favourites for pastel coloured outfits for several years now; they're pretty comfortable and have a nice sturdy heel which was good for a Monday evening guides meeting. 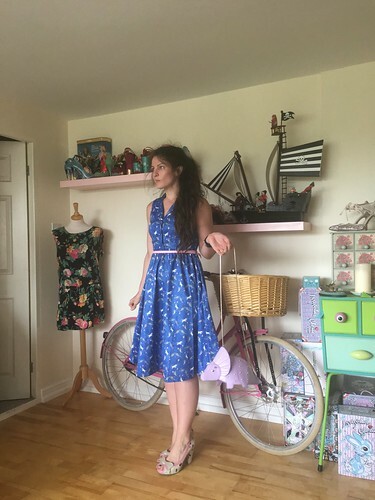 I was greeted when I arrived by excitable small people teaching me a song about narwhals - seems they were almost as excited about my dress as I was..! 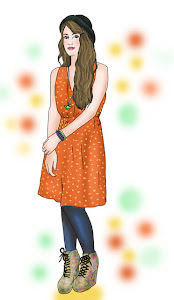 I love it!,wish I'd got the Bernie Dexter looking cloud dress before it sold out in an 8or 10! Ooh,t hat's a shame but perhaps it will be back!